Amador County News, TSPN TV News Video, 7-11-12 - TSPN's Tom Slivick talks with Supervisor Louis Boitano for an update on recent work by the Amador County Board of Supervisors. 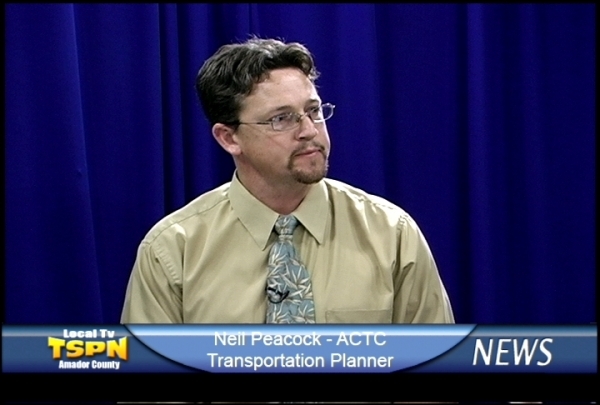 Amador County News, TSPN TV News Video, 7-10-12 - TSPN's Tom Slivick talks with Neil Peacock, planner for Amador County Transportation Commission for a report on the status of a Regional Transportation Plan update. 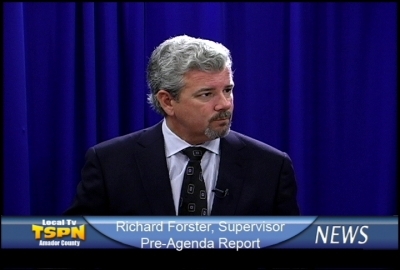 Amador County News, TSPN TV News Video, 7-9-12 - Supervisor Richard Forster sits down with Tom Slivick to discuss the agenda for the upcoming board of supervisors meeting. Amador County News, TSPN TV News Video, 7-6-12 - TSPN's Tom Slivick talks with Dr. Matthew Watson of the Madera-Amador-Calaveras-Tuolumne Clinic for an overview on the Obama Care Supreme Court ruling, and possible affects locally. Amador County News, TSPN TV News Video, 7-5-12 - TSPN's Tom Slivick talks with Jackson City Manager Mike Daly about partial restoration of “Triple Flip” funds to the city, and the city’s Vista Park renovation project. Amador County News, TSPN TV News Video, 7-3-12 - TSPN's Tom Slivick talks with Jim Gullett of Vino Noceto Winery about the Amador County Business Council’s support for an increase in Amador County’s Transient Occupancy Tax on hotels and motels. Amador County News, TSPN TV News Video, 7-12-12 - TSPN's Tom Slivick talks with Shawnna Molina, the new executive director of Arc of Amador and Calaveras Counties, who will take over for Mike Sweeney on July 1. Amador County News, TSPN TV News Video, 6-28-12 - TSPN's Tom Slivick talks with Supervisor Ted Novelli about Amador County budget issues. Amador County News, TSPN TV News Video, 6-27-12 - TSPN's Tom Slivick talks with Plymouth City Councilman Jon Colburn, a member of No Casino in Plymouth. Amador County News, TSPN TV News Video, 6-26-12 - TSPN's Tom Slivick talks with Lynn Morgan, Chairwoman of the Upcountry Community Council about the proposed Buckhorn Town Center and other Upcountry issues.